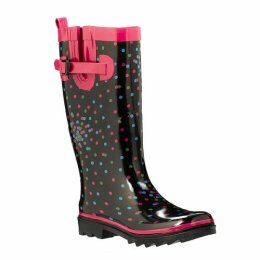 I finally got rain boots! Even as recently as three months ago I would not have been caught dead in brightly colored rubbers (as ECSS likes to call them), or any sort of "functional" boot. I think I've finally seen the light though - no more wet wool pants that smell, no more cold feet, no more taking the metro when it rains. I am prepared. I may be stared at for such clunky things (they're really not that bad though), but at least my toes will be dry. Bring on the downpour.